A NUMBER OF HOMES were evacuated as a viable homemade bomb was made safe by army experts near Carrickmines in Dublin last night. 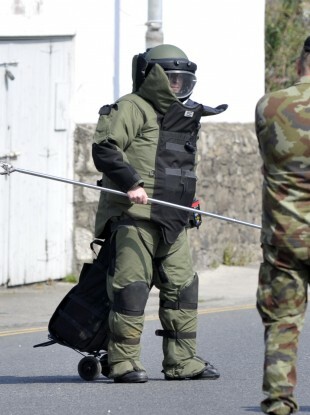 The device was found at a private residence in the Ballyogan area and the army bomb disposal team were called to the house by gardaí. The team arrived at the scene while a cordon and road closures were put in place and a number of nearby houses were evacuated. The Defence Forces say that the device was made safe at the scene without the need for a controlled explosion. It was then brought to a military location where it will be examined further before being handed over to gardaí. Email “Houses evacuated after viable bomb discovered in south Dublin”. Feedback on “Houses evacuated after viable bomb discovered in south Dublin”.